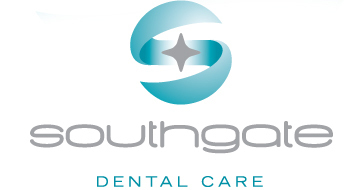 At Southgate Dental we take care to provide you with natural-looking dentures that are individually handcrafted to provide you with the perfect fit, feel and function. With new confidence in your smile, you can eat the foods you love and laugh whenever you feel like it. Providing an exceptional level of care and attention, we will work closely with your needs to create and fit the dentures that are right for you. By understanding your preferences and the end result you would like to achieve, we will help you achieve an appearance that makes you look and feel more youthful. We use all the latest materials to provide a denture that is best suited to you, including the use of flexible dentures and implant retained dentures. The most important consideration in your decision to choose an implant overdenture or implant denture is the limited retention and stability of a traditional denture which relies on suction alone. Over time, retention only worsens due to continual bone loss (atrophy) of your dental arches from the lack of teeth. When a tooth loses bone support through the years, its root can be saved and used to anchor an implant overdenture. The significant concerns regarding function, retention, stability, mastication (chewing), and speaking can be overcome by maintaining the level of bone present in the upper jaw (maxilla) and lower jaw (mandible). What are the benefits of implant overdentures or implant dentures? 1. Having dental implants placed will preserve bone and will dramatically reduce bone resorption and deterioration that results in loss of jawbone height. 2. Implant overdentures will control facial contour changes that lead to premature wrinkles and aging. 3. Implant overdentures will allow you to chew your food better and speak more clearly. Studies have proven that overdentures contribute to improved chewing efficiency and phonetics. 4. Loose dentures that cause embarrassment will be eliminated. Messy denture creams and adhesives are no longer needed with denture implants.